Sleek, graceful, and innately desirable, Mercedes-Benz coupes and convertibles are designed for drivers who truly appreciate what it means to be behind the wheel. Whether savoring the wind-through-your-hair sense of freedom that comes with a convertible or the keen athleticism of a lightweight coupe body, every twist and turn becomes far more than your average journey from point A to point B. Whether hard-top or soft-top, the convertible roof folds back for an open-air driving experience – you’ll find critics praising models like the Mercedes-Benz C-Class Convertible for its refreshing ride. Coupes maintain a similar appearance, but they’re lighter and more rigid than convertibles, so expect superior performance – it’s why reviews call coupe driving dynamics a thing of beauty. Mercedes-Benz delivers an attractive coupe lineup that goes above and beyond the competition. 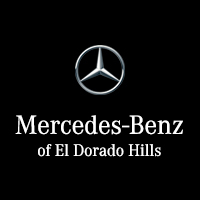 Whether you’re seeking the uninterrupted panoramas of a convertible or the track-like agility of a coupe, turn to Mercedes-Benz of El Dorado. We’re just a short journey from Folsom, Rancho Cordova, and Gold River, so schedule a test drive or apply for financing today.